Looking for the absolute best admissions consultants? Well navigated, friend. If you have potential, we'll stretch the hell out of it. Heading to business school? College? Looking for a masters degree in finance? Or an MiM? Or a degree in business analytics? You're covered. We do everything except pre-school admissions. Getting into top masters programs (MBA, MFin, MiM, etc.) can change your life. Talk to HBS-LBS-Wharton, Bulge / MBB alums, and more. Successful guidance is best delivered by successful mentors. Get personalized attention from Admissionado’s roster of Harvard, Stanford, and Princeton grads (and more!). We know how to get accepted. We get the top guys. The experts (who have the same choice as you do) choose Admissionado over everyone else. Think about that. We're told it's because of our culture, our authenticity, and our dedication to excellence. 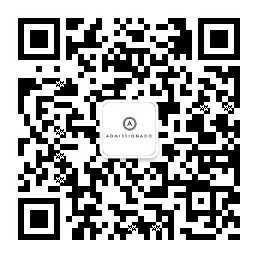 The result: Admissionado represents the A-LIST of admissions consultants, period. We offer services to cover a variety of needs and budgets. Tell us what you need and we will always give you an honest recommendation. For MBA and Masters applicants, we do everything from full-bore multi-year counseling, to gut-check essay edits. We may not be the cheapest, but we are the best at what we do. We offer a range of application support for 12th graders, as well as longer-term college guidance for students between grades 9—11. We may not be the cheapest, but we are the best at what we do.